LAHORE, Pakistan (Morning Star News) – Islamist groups are threatening the family and attorney of a young Christian man shot dead by Muslim in-laws who also wounded his wife over her decision to marry him and leave Islam, the attorney said. Aleem Masih, 28, married Nadia, 23, last year after she put her faith in Christ. “The couple fled to Narang Mandi, some 60 kilometers [37 miles] away from Lahore, as Nadia’s Muslim family launched a manhunt for them to avenge the shame their daughter had brought upon them by recanting Islam and marrying a Christian,” attorney Aneeqa Maria of The Voice Society told Morning Star News. Maria said that the Christian couple had filed a petition in the Lahore High Court seeking police protection due to threats against them by Nadia’s family, who were also threatening Masih’s relatives. On July 30, Nadia’s family received a tip that the couple would visit a doctor in Khaliqnagar, in the Youhanabad area, that evening, Maria said. Eyewitnesses said Nadia’s father, Muhammad Din Meo, along with her brothers, seized the driver of a three-wheeled rickshaw in which the couple were riding and abducted the couple, the attorney said. They took the couple to a nearby farm. Maria said that the Muslim relatives left believing they had killed the couple. Police, however, found Nadia still breathing when they arrived at the farm. “She was shifted to the General Hospital in Lahore, where she is fighting for her life after a major operation in which two bullets were removed from her abdomen,” said the lawyer. Maria said that when she and her team visited the hospital, a large number of Muslims were gathered there. She found a similar display at the local police station, where a large number of Muslims had gathered to pressure police. The next day officers registered a case against Azhar and others, including Nadia’s father, but police have not taken them into custody as they have been granted pre-arrest bail, she said. Maria said the Muslim family and Islamist groups were now threatening her, demanding that she and the slain Christian’s family drop the case. The investigating officer in the case could not be reached for comment. In Gujrat District of Punjab Province, three Christians including a pastor have been charged with blasphemy and terrorism for using the word “Rasool” (apostle) on posters referring to the pastor’s deceased father. Pastor Aftab Gill and two other Christians were taken into custody in Nai Abadi, Gujrat, after police spotted posters that referred to clergyman Fazal Masih as Rasool in marking the 20th anniversary of his death. 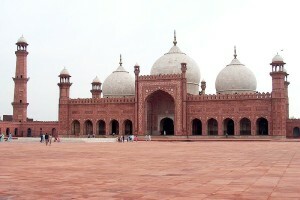 Rasool in Pakistan is commonly used to refer to Muhammad, the prophet of Islam. The word is also used several times in the Urdu Bible as a translation of “apostle” and “disciple,” and it is used frequently in church sermons and in Christian writings. “We have arrested three men, including the son of the priest, because they used the word Rasoolfor the late Fazal Masih,” said area police official Shahid Tanveer. He said that officers had summoned local Muslim clerics and elders of the Christian community to the police station to consult them on the matter. He did not explain why police filed terrorism charges, though the charge is often used in sensitive and high profile cases as it gives access to a fast-track trial. The pastor’s brother, Unitan Gill, said that their father had established the local Biblical Church of God in Nai Abadi several years ago. His brother, Pastor Gill, runs a grocery shop in the area besides operating a small English teaching institute. “The mala fide against us is evident, because a local policeman named Mukhtar Ahmed has been made complainant in the case,” Unitan Gill said. Area residents said police prevented massive destruction by Muslims by arresting the Christians, as Muslims wanted to burn the Christians alive and set their houses and the Biblical Church of God building on fire over blasphemy accusations. There are about 100-120 Christian families in the neighborhood. Christians, who make up around 2 percent of Pakistan’s population, have been increasingly targeted in recent years, often over allegations of blasphemy.